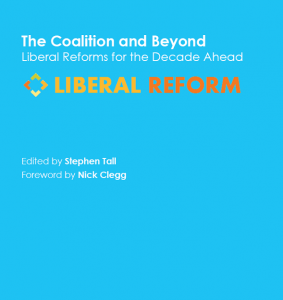 ‘Coalition and Beyond: Liberal Reforms for the Decade Ahead’ is published this Saturday, 15th September, at the Glasgow conference. 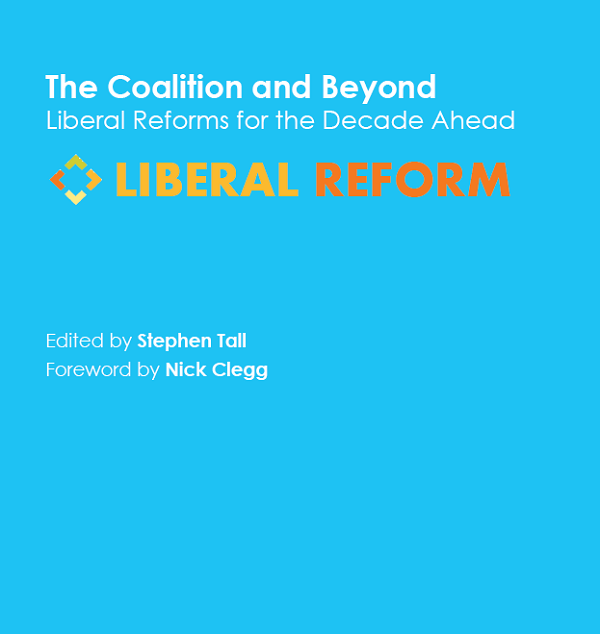 With a foreword by Nick Clegg, and ahem edited by me, it brings together 20 essays by a disparate group of liberals. Some will have you nodding along in agreement; others will probably have you spluttering in disbelief. That’s as it should be. Nowt worse than group-think, especially in a party wrestling with how to defend its record in government while renewing itself ready for the next election. Liberal Reform, which has brought the contributors together, is offering a sneak preview of the first essay – it’s by David Boyle, and explores the distinction between choice and competition in public services. What I love about this chapter is its emphasis on treating the ‘consumer’ as an individual citizen. To read it in full click here and hand over all your data to Glenn Greenwald sign up to Liberal Reform’s mailing list.